Are you tired of feeling overwhelmed, stressed or hopeless? Are you frustrated at the end of the day because you didn’t get it all done? Are you so busy caring for others that you’ve set aside your dreams? Wonder Woman® was just a comic book character. She doesn’t exist. Would you like to jump out of bed with a zest for life and thrill for your day? Do you want to live a life of inspired joy? Yes? Then you need the message within these pages. 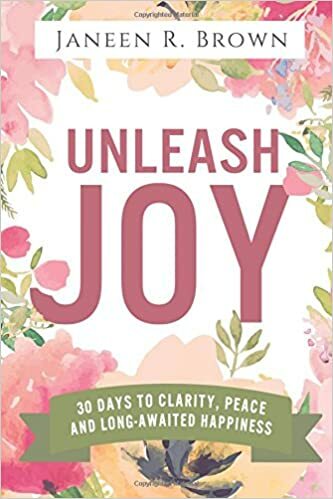 In Unleash Joy, Janeen Brown shares 30 simple and effective changes you can make to transform your life. She combines mindfulness practices , essential habits, and changes in mindset to release the inner joy of her clients. Her simple methods of adding small habits and baby steps toward improvement are easy to follow, practical, and instantly satisfying. 10 Habits to transform your life from ho-hum to inspired greatness. 10 Mindset changes that eliminate negative feelings and free you from unwelcome outside influence. 10 Mindfulness practices designed to create the clarity and peace that will awaken your happier, divine self. A free accompanying workbook to take your journey to the next level. Insider access to the Unleash Joy social group, where you’ll meet other joy seekers and find a loving, supportive “home” community. Unleash joy is so much more than a self-help book, it’s a movement changing what it means to be a woman today. We don’t have to be the overworked, overwhelmed, over-burdened wife and mother our society expects. Let Janeen show you how to live with purpose and exhilaration! Janeen is a speaker and coach with a passion for helping women break down barriers to happiness and success. She has led inspiring retreats and workshops since 2006. Her style of blending traditional, timeless wisdom and mindfulness practices appeal to women of all faiths and backgrounds. Janeen is the founder of the “Unleash Joy Movement”, building a community of freedom and joy-seeking women all over the globe. She and her husband left their jobs years ago, to enjoy a life of freedom and spend more time with their family. They live in a 100-year-old farmhouse in beautiful Colorado, with three of their five children, a few chickens, and a big red barn. For the ebook, paperback and hardcover formats go here. For the companion workbook go here. 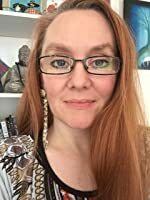 Connect with Janeen on Facebook, Twitter and Instagram.